FREEBIE! - Start the Day with STEM: Get Your Daily STEM Facts Calendar! One of our favorite mottos is “Practice Makes Perfect”. To become an expert or learn anything, you must consistently be present in learning, practicing, and absorbing that subject or skill. So, in order to keep STEM top of mind and to immerse yourself in STEM learning, we have created a monthly STEM facts calendar for you! Each month, you will receive a full month of fun STEM facts to keep you learning all year long! How can you use these STEM facts? Below are a couple suggestions for our STEM loving mommas and killer STEM educators! Read our STEM fact of the day at breakfast with the kiddos to get a fun, STEM focused dialog started over your Cheerios! If it is something that sparks an interest for your family, do a bit of extra research on that fact during the day. Read the STEM fact at lunch time to add some fun to the middle of the day! Discuss the STEM fact over dinner with the whole family and gather each family member’s take on the fact. Were they surprised? Did they already know that? Have fun with it and make it a nightly game! Use our STEM fun fact to be a consistent check point to start the day. By creating routine in your classroom, your students will have an idea of what to expect and will look forward to the fun and sometimes surprising fact! If you review the facts on a regular basis, let your students pick a fact from the year and do a research project on it. Get them to dive into something that they didn’t know before! Close the day with our STEM fun fact and ask the students to come back the next day with some research on the subject. This will take their learning out of the classroom and will be a consistent and enjoyable way for them to bring their education home to their parents! All around, these fun facts are a quick and easy way to integrate STEM into your family’s routine or your classroom’s routine. Click below to make STEM a part of your day to day routine with Growin’GEERS! This is one of our top picks because it encompasses the application of engineering skills. 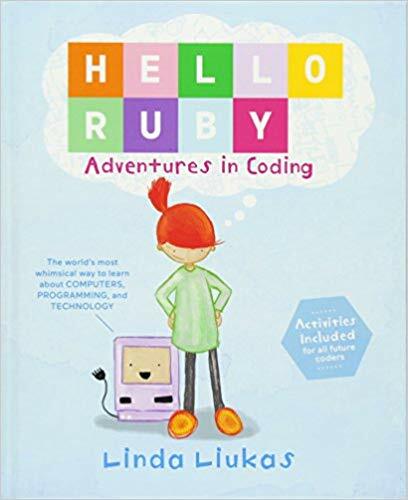 Not only are you learning about Ruby and following her adventure, you learn about conceptual coding concepts, how to break down a problem, and how to look for patterns. 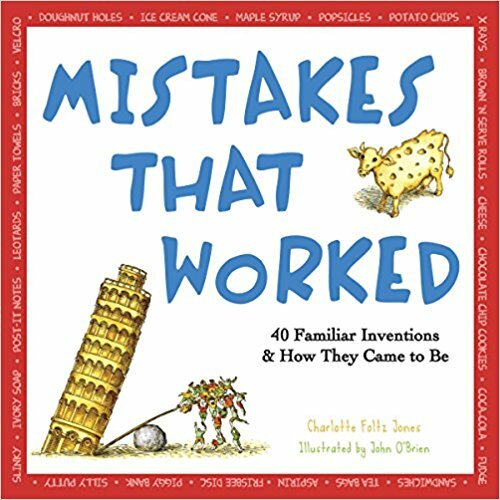 The key to any successful engineer is to understand that you can solve anything you put your mind to, and this book is a great way to encourage kids that they can do anything! At Growin’GEERS, we are all about encouraging failure. There are few great engineers that have accomplished something amazing that haven’t experienced failure hundreds of time. This book is a great way to give students examples of how failures can be great learning experiences and how you can truly stumble into something great by never giving up. Rosie is a great all encompassing example of what it takes to be an engineer. Her aunt acts as a wonderful role model within the story, and her focus on encouraging her to not quit is so critical to building a strong and resilient engineering mindset. 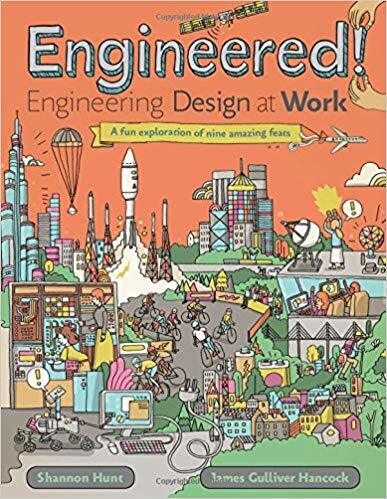 This is a great starter book for any child who hasn’t hear of engineering, is just beginning to show an interest, or is an old pro at STEM activities. Growing up, this was one of my favorite books. It is such an interesting way to not only compare past and present but to see how the ancient Romans approached architecture. What they were able to accomplish in the time is remarkable, and this is a great book to get it into the hands of budding engineers! In addition, this is a great book for students that aren’t the best readers. There is a lot to leann from the images alone, so it works for an array of ages. This is a fun and engaging story that follows the journey of Anna as she decides what she should do for her science fair project. The reading level is a bit higher, so this is a great pick for students at an upper elementary reading level. We love it because it breaks the traditional thought process associated with a science fair and introduces engineering as a valid science fair project option! Growin’GEERS is a firm believer that creativity and critical thinking is a must-have skill to be a successful engineer. 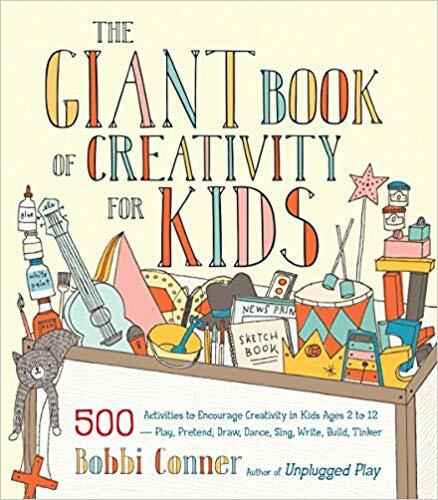 This book gives a lot of small, easy to take activities that exercise that creativity! In addition, it spans a large age range so this is a great read for families with a wide range of ages! Engineering is all about solving the world’s problems. However, if you don’t believe you have the skills to get it done, you never will! This is a great read to encourage students to understand that they may not be great at everything now, but they can be if they value growth and learning through the entirety of their lives. By instilling these values early in life, kids can be better prepared for the skills that they may not be great at from the beginning. We love this one for the attention that is paid to connecting engineering to real world scenarios. As one of our main missions, we know how important it is to connect concepts to application, and this one does an amazing job making that connection! Plus, the illustrations are so fun! We all know Legos are great, but we thought we would give some alternatives this year to bring STEM and engineering into your home! Check out our top 5 list below that are associated with an engineering discipline! Description: Snap Circuits have been around for a few years now, but we love this option for learning and understanding the wild work of electrical engineering! It safely (no soldering needed!) exposes young students to parallel and series, switches, circuits, etc. to make learning about electrical engineering fun. If I had had this as a way to learn circuits in college, I may have gone into electrical engineering! We linked below to a beginner kit and more advanced kit, but either way, this is a super affordable way to get kids thinking circuits! Product: Kano Harry Potter Coding Kit – Build a Wand. Learn To Code. Make Magic. Description: Considering the fact that we are a bunch of crazy Harry Potter nerds, this is a great balance between an interest and a great coding toy! Kano has some amazing products related to computer engineering and exposing kids to coding, but we are definitely partial to this one due to the story it is related to. This product allows kids to build a wand and code out different actions of the wand. You will need a tablet to utilize the app, but we are big fans of this amazing new take on coding fun! Description: Kit science isn’t usually our favorite, but we love this toy because of how true it stays to an actual chemistry lab. Pipettes, petri dish, calcium hydroxide…sounds like a chemistry lab that all engineers spend some time in! We also love this product because you can do a ton of different experiments. It is not a one and done type investment which is great for any budding engineer! Description: All kids love to build forts; building a place they they can actually crawl into is a pretty exciting thing. So, fort boards is our number 1 choice to introduce civil engineering in a fun way. What we love about this toy is how open ended it is. There is a lot you can do with these boards and a fort is just the beginning! We believe this is the perfect combination of an introduce to construction while also giving kids room for creativity and play. Description: Okay, so to be totally honest, we looked long and far for a great toy or game that encompassed what it is like to be an industrial engineer, and we couldn’t find it. Seriously, isn’t that nuts? Especially since industrial engineering is quickly growing and because the skills you use as an industrial engineer are useful in other engineering fields (just as all the civil, chemical, and electrical engineers with their masters degree in Industrial Engineering). Anyway, we didn’t feel right leaving this discipline out, so check out Growin’GEERS for an at home option to learn about optimization and Dijkstra's algorithm. We provide the animated videos, research and brainstorming worksheets, and a planned hands-on activity that can be done using household materials (materials not provided with online membership). Education is a hot bed for buzzwords and phrases: disruptive technology, digital literacy, MOOC, and the list goes on.. Buzzwords are good and bad. They bring attention to items that we need to be aware of (hence the technology reference in every word we listed above), but they also can be misused to create marketing hype around products and services. As you probably already know, our favorite buzzword, (buzz acronym really) is STEM (Science, Technology, Engineering, and Math). The reason why this buzzword is so near and dear to our hearts is because we believe it encourages the integration of some key areas that are cross functional in the digital or information age. When these four segments are integrated, they can truly create a learning environment that will prepare our students for the careers of the future, many of which may not yet exist. STEM experiences brings attention to and demonstrate the value of the integration of these four disciplines. Yet, STEM is often referenced in circumstances when only one of the 4 pillars is in use. Can you think of any recent science experiments that you saw online that were referred to as STEM? What about math exercises or worksheets? Or perhaps a building or construction toy that included the STEM acronym in its packaging or marketing? The value that STEM brings is the actual application of these four disciplines to one problem or one exercise; not just a science or math exercise in a silo. The significance of STEM is teaching our students to recognize opportunities to apply science, technology, engineering, and math skills in ways that challenge their critical thinking abilities and prepares them to not be afraid to use a concept or idea differently than how it was originally explained or taught. Today’s careers, and those of the future, will require our children to apply the skills they are learning now in creative and innovative ways. Adapting their learning to fulfill the demands of the future is what we need to be preparing our children to be able to do. So, how can we enable students to feel comfortable in that regard? We believe it centers around encouraging creativity, critical thinking, and a certain comfort level with failure. And cultivating these skills cannot be done with a set of instructions. Providing students with the answers without encouraging them to ideate and redesign limits the opportunity for students to think critically or challenge any preconceive ideas or prior knowledge. Instructions do not lead to failure, innovation, and creativity. Testing a hypothesis, asking open ended questions, and encouraging redesign creates an environment of innovation. 1. Does it encompass more than 1 discipline from the four pillars of STEM? 2. Is your child engaging his or her problem solving and critical thinking abilities rather than simply following a set of directions? 3. Is your child encouraged to create his or her own solution along with a testing process to know if they were successful or if they should consider modification? 4. Is technology utilized not only in the delivery of the content, but also in how students connect with the problem and complete the task. If you answered yes to 3+ questions above, the activity likely embodies the foundation of STEM and encourages critical thinking, innovation, and creativity. Stay calm, and STEM on! Did you enjoy this post? If so, please share it on Pinterest!